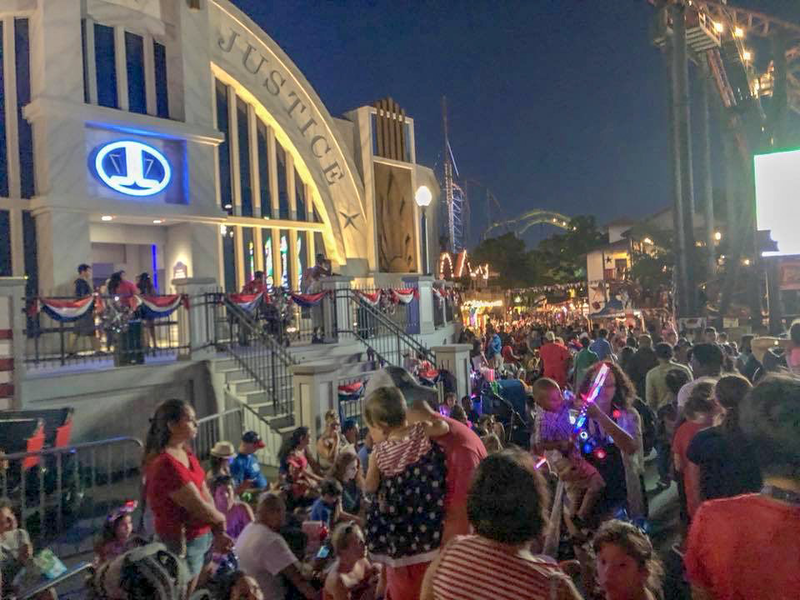 The 2019 4th of July Fest takes place from Wednesday, July 3rd through Saturday, July 6th. The event features a wide array of activities to keep the entire family satisfied. Below we will break down pricing, activities, and dates to simplify the planning process and provide details on what all to expect out of your visit. Drinks, snacks, and meals offered at the All American Food Festival can be purchased via a "Sampler Passport." These passports can be purchased with either 8 or 12 hole punches and are valid for the duration of the festival. ​Enjoy up to 8 entrees, snacks, or drinks. ​Enjoy up to 12 entrees, snacks, or drinks. Get free refills during the duration of the event as well as admission into the Fireworks After Party. The Red, White, and Food pacakge includes both a 12 Sampler Passport and an event souvenir bottle. The Fireworks After Party is an additional fee required experience that takes place from 9:00-11:00pm. 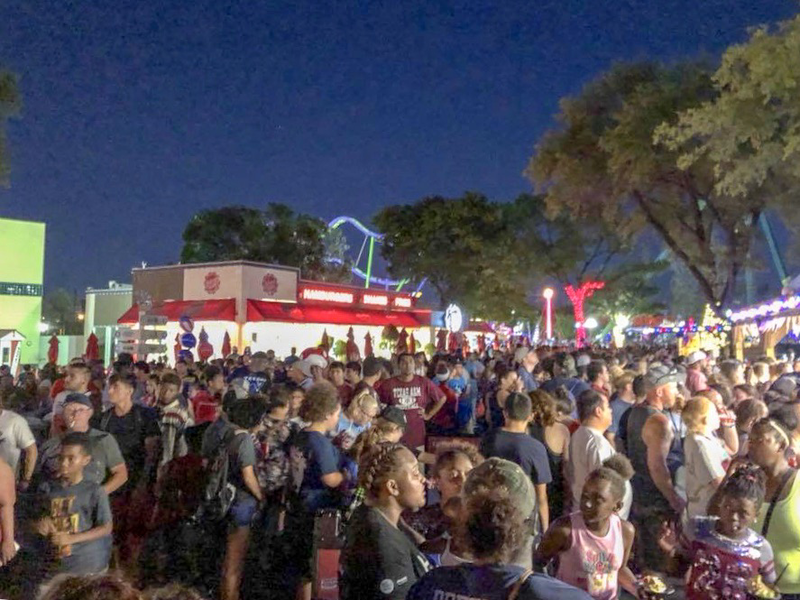 The party includes the best fireworks viewing at 9:45pm, a live DJ and foam party, exclusive ride time (ERT) on Gotham City attractions, and more. Admission to the party requires the purchase of a 4th of July Fest Souvenir Bottle or a Diamond or Diamond Elite Membership. THE FOLLOWING ATTRACTIONS ARE OPEN FOR THE PARTY: Batman The Ride, Mr. Freeze Reverse Blast, Batwing, Catwoman Whip, The Riddler Revenge, The Joker, and Harley Quinn Spinsanity. 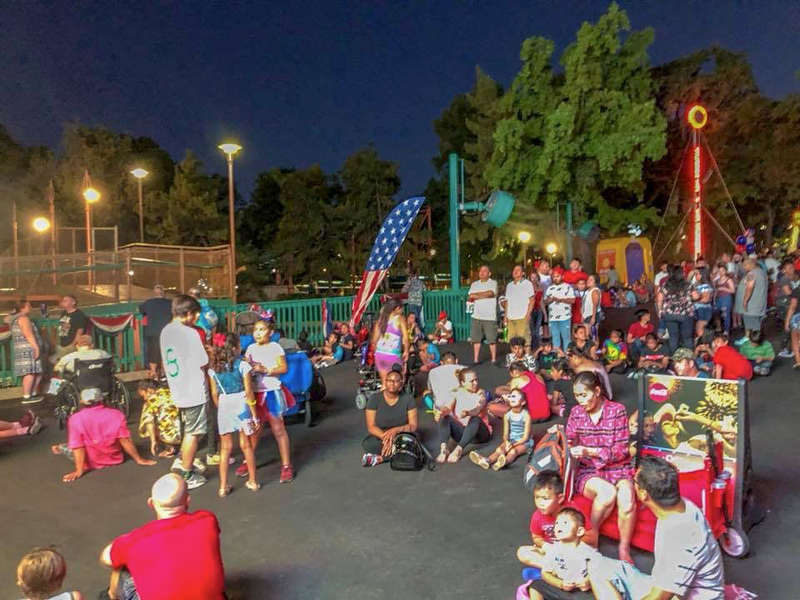 Each night at 9:45, Six Flags Over Texas lights up the sky with the 4th Of July Fest fireworks. Set to a playlist of patriotic songs, the display last approximately 8 minutes. The best viewing locations for the show are in Gotham City in front of The Riddler Revenge (must be attending the Fireworks After Party) and in front of Justice League: Battle For Metropolis. To ensure that you get the best spots possible, we recommend that you arrive in your viewing location 20-30 minutes before showtime. Below are images from the Gotham City and USA viewing locations approximately 15 minutes prior to the display.